This baton relay uniquely symbolises the coming together of the peoples of the Commonwealth. As a proud member of the Commonwealth, we are pleased to welcome the baton to Grenada. The Commonwealth Games are a showcase of not just sport and sporting excellence, but they also create a unique and exciting platform to showcase the rich and diverse cultures of the Commonwealth Nations. Therefore, by the time this baton crosses the finish line at the opening ceremony in Glasgow, Scotland, it would have crisscrossed the globe, visiting historical sites and landmarks, touching, and inspiring the culture of people throughout the nations. Here in Grenada it will be no different. The baton is just about halfway through its journey and so we are pleased to welcome the baton to our ‘pure’ Grenada for some excitement, yes, but also for some respite. Many of those who have visited these isles have often commented that they enjoyed the fun and excitement of our festivals but they also enjoy the peace and stillness that Grenada, in its purity, inspires — causing rest and rejuvenation. May you have an exciting visit but may you also be rejuvenated for the next leg of your journey. Day 152 of the The Glasgow 2014 Queen’s Baton Relay in Grenada. 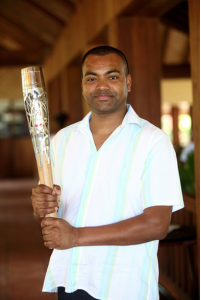 Victoria Cross recipient Johnson Beharry holds the Queen’s Baton at Belmont Estate in Grenada on Sunday 9 March 2014. 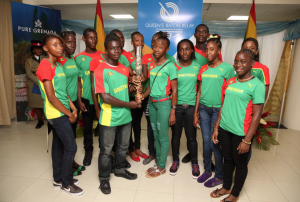 Sport is an important part of our way of life — our culture — and this baton comes to Grenada as we are in the midst of our schools’ athletic season as our nation’s youth prepare and compete to gain a place at our National Inter-School’s Athletic Games (Intercol 2014) in just about a month. Cricket, Football, Tennis, Swimming, Volleyball, Golf, Basketball… even this very weekend our people are engaged in sporting activities throughout the length and breadth of Grenada. 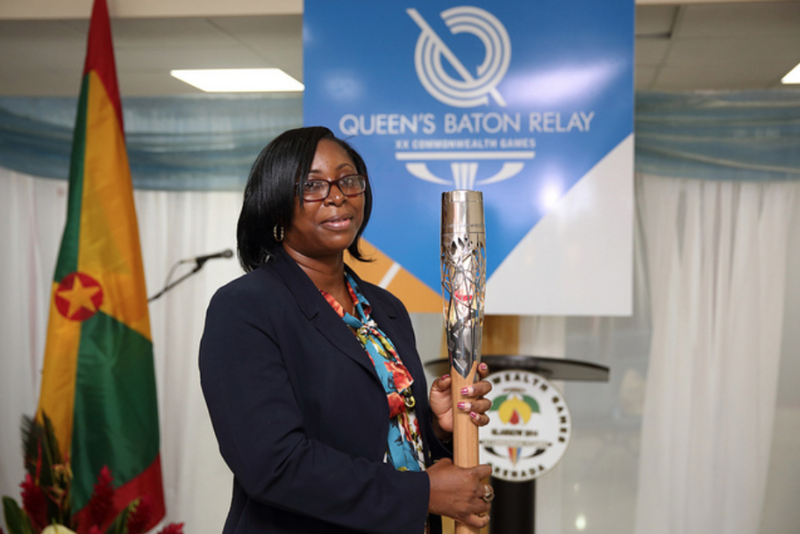 I trust that the presence of this baton on our shores, albeit for a short visit, will inspire our sports men and women and our sporting boys and girls, to continue to seek sporting excellence. This government sees sporting development as a key component of our national development plan. We are currently investing in the development of several sporting disciplines in partnership with the various national sporting associations. Our partnership with the Grenada Olympic Committee and also the Grenada Football Association in the establishment of their national headquarters and training facilities immediately comes to mind. Even as we meet here, at this very moment, work is ongoing in Queens Park because we are in the process of reconstructing our National Athletics and Football Stadium, which was sadly destroyed by hurricanes in 2004 and 2005. We know that the team that we will send to the 2018 Commonwealth Games will have had the opportunity to train at this reconstructed stadium. Therefore, the next time that this baton returns to Grenada we will be able to welcome it in our athletics stadium. In closing, let me extend my best wishes for the hosting of a successful Commonwealth Games — Glasgow 2014 — and wish all of our athletes the very best. Welcome. We are happy to have you.